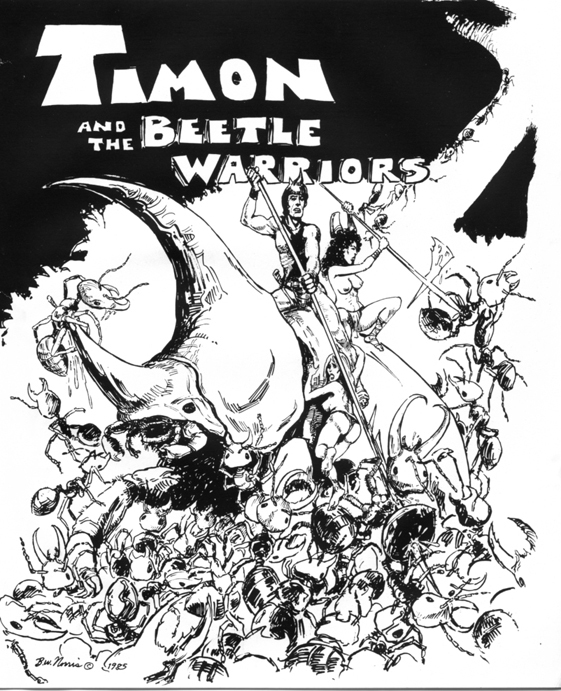 Development of 'Timon, the beetle warrior' was a project that was published in 'Boogins', a Washington D.C. Sci-Fi/Horror publication. Bruce did the drawings for this series. Several pages are shown here.